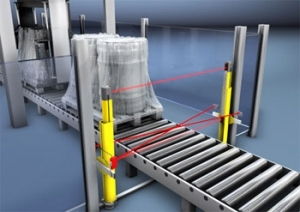 Leuze Electronic is launching new multiple light-beam safety devices with a range of optional functions such as muting . The new MLD 300 (type 2 PLd) and MLD 500 (type 4 PLe) series Multiple Light Beam Safety Devices were specifically developed so that a device can be chosen from the range that closely matches the requirements of the given application and therefore saves cost. The individual models of each series are equipped with various features and capabilities or function classes. For example, start/restart interlock and contactor monitoring functions are available and various muting modes can be selected. External muting devices are not required, which simplifies installation, lowering costs during muting application set-up. Higher MLD function classes feature an integrated muting indicator and seven-segment display to monitor sensor behaviour. The series is suitable for perimeter guarding using deflecting mirror posts. Ranges up to 70m and operating temperatures down to -30 degrees C are possible. Alignment is simplified in those devices within the range which feature integrated lasers at the top and bottom of the column. A reflective area on the cap of the receiver makes the laser spot highly visible, even over long distances, thereby reducing set-up times. Installation is also made easier by a new swivel mount that enables swift alignment with reliable mounting.